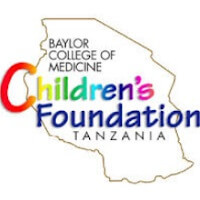 To oversee day to day Human Resource and administrative requirements of Baylor-Tanzania including planning staff recruitment and retention, training and well fare and stores and inventory management, logistics management and create an appealing ambiance and smooth overall coordination of all Baylor – Tanzania activity. Completes human resource operational requirements by scheduling and assigning employees following up on work results. Supervise and evaluate performance of the human resource and senior administrator officer, administrative assistant, IT and infrastructure manager, stores assistant, receptionist, Office Assistant, Drivers, Security guards, cleaners and provide periodic feedback on their performance. Work with the Technical, Finance, Monitoring and Evaluation Directors and HR and senior administrator officer to recruit and hire staff. Together with human resource and senior administrator officer, to manage formulate, implement and monitor stores, office and inventory and security policies, procedures and controls. Act as liaison person between procurement and stores to ensure that adequate procedures regarding stocks are followed. Management of expendable supplies i.e. storage, control and adequate stocks and issuing to staff when necessary and appropriately required. Ensure proper management of vehicles and fuel including arrangement for regular servicing, licensing and all information entered in the appropriate database for easy access by other users. Together with senior administrator prepare the office/ Administration budget and submit financing requests for the different office activities. Liaise with the facilities management personnel to ensure proper maintenance of office and reliable services for the office building, office equipment, and their repair and supply and health and safety precautions. Ensure safe custody of all records in the department by creating files for all incoming and outgoing correspondences. Ensure that the Executive Director’s office is working properly. Postgraduate diploma in Public Administration and Management or equivalent. Experience in procurement, stores, office and logistics management. Previous experience in working with donor funded (USAID) and NGO sector.